Staff Sgt. Jeffrey Mante, 99th Medical Support Squadron inpatient pharmacy technician, works in the newly renovated pharmacy in the Mike O’Callaghan Federal Medical Center on Nellis Air Force Base, Nev., Nov. 28. 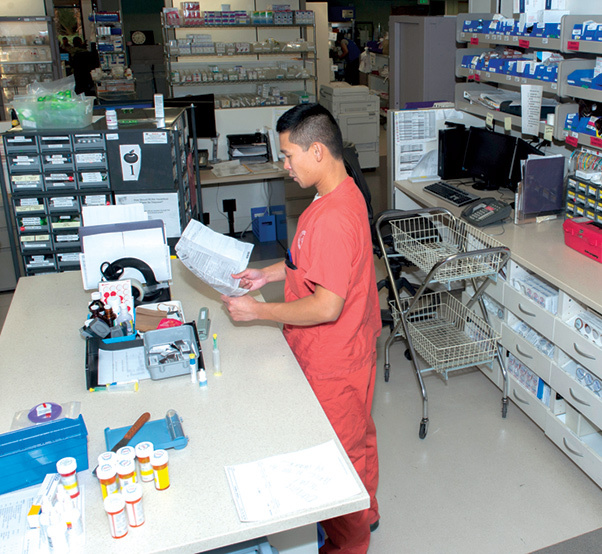 The pharmacy was recently overhauled in order to more efficiently serve customers. NELLIS AIR FORCE BASE, Nev. — The pharmacy at the Mike O’Callaghan Federal Medical Center recently innovated their inpatient medication process by implementing barcode technology to multiple medication dispensing machines throughout the medical center and streamlining and safeguarding the way nurses receive and dispense medications for patients here. 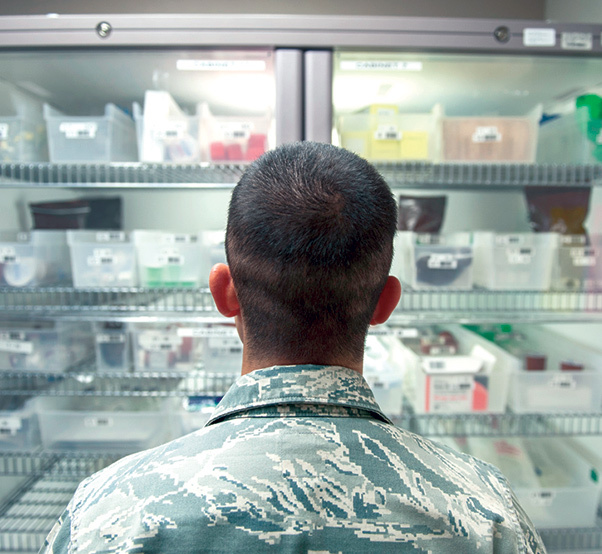 The 99th Medical Support Squadron pharmacy upgraded 18 PYXIS MedStation systems throughout the medical center. The system is an automated medication dispensing system that accurately dispenses medication while supporting pharmacy workflows. The new PYXIS machine has streamlined the process in which the pharmacy provides inpatient medications throughout the MOFMC. 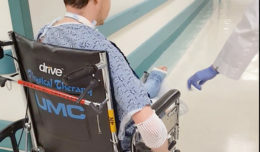 In order to mitigate that risk and provide the safest care to patients, the pharmacy has taken steps to make the process more seamless and error-free. Staff Sgt. Victor Rodriguez, 99th Medical Support Squadron pharmacy technician, refills the PYXIS machine in the intensive care unit of the Mike O’Callaghan Federal Medical Center on Nellis Air Force Base, Nev., Nov. 22. With the machine being utilized, the pharmacy has seen its inaccuracy rates go down from five in a month to three over the course of eight months. With the PYXIS machine being utilized, the pharmacy has seen its inaccuracy rates fall over the months that it has been active.